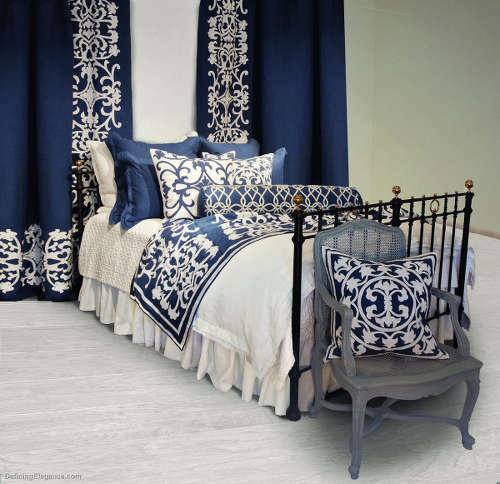 This daringly bold-scale navy blue and white linen ensemble from Lili Alessandra can breathe pizzazz into any bedroom. 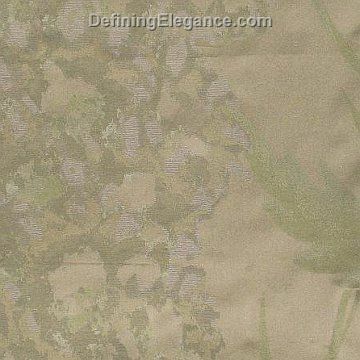 The applique detail on the draperies, throw, and pillows has a certain charm that is wonderfully nostalgic. An all-white duvet, coverlet, bedskirt, and shams gives a crisp and clean feeling while allowing the navy blue draperies and pillows to pop. White also showcases furniture shapes that otherwise would go unnoticed. For an even greater impact, add a few eclectic furnishings. 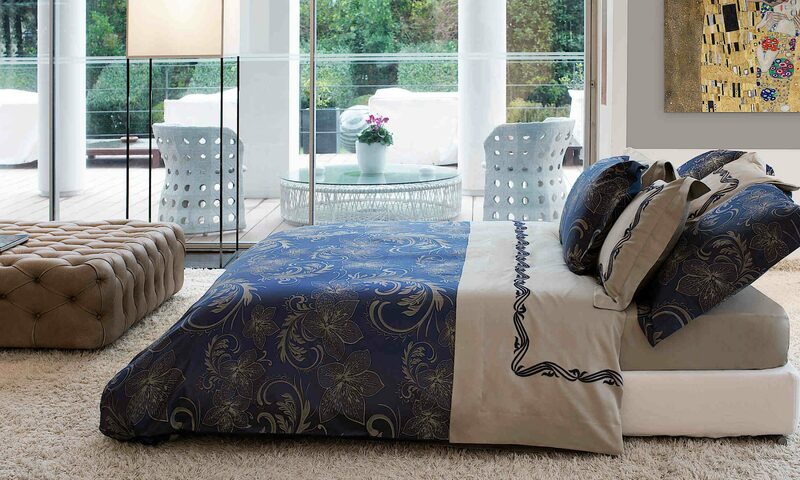 SDH’s Delphi Jacquard sheeting is a 4-color yarn dyed jacquard. 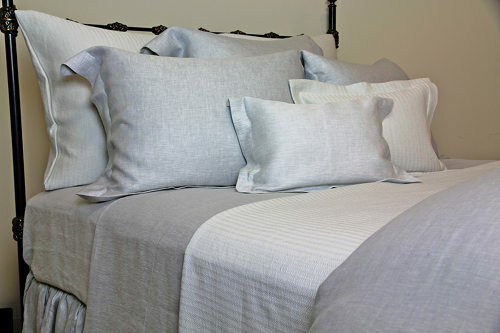 692 thread count 100% Egyptian cotton. 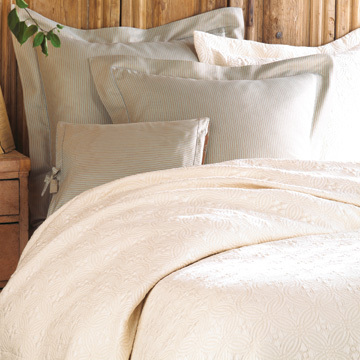 This luxuriously finished bedding is available in two different color combinations: Fern and Mauve.